While all oil additives serve a purpose, extreme-pressure (EP) additives in gear oils can be very detrimental and lead to the destruction of copper metals. This 2-minute, 1-second video explains when you should avoid using EP additives, how to know if an oil has these additives, and why it is important to match the oil and the additives to the application. Take the next step. 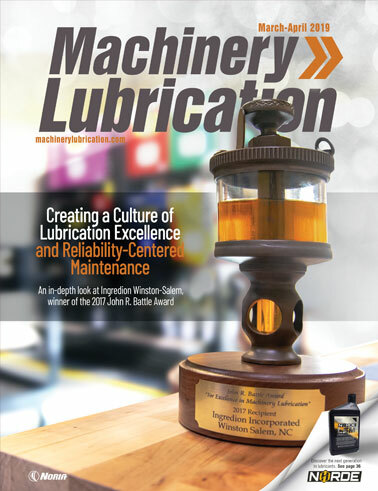 Learn more about key additives that enhance lubricant performance and how to choose the right one for your machine's needs by attending Noria's Machinery Lubrication training courses.